How cute is a baby in overalls? 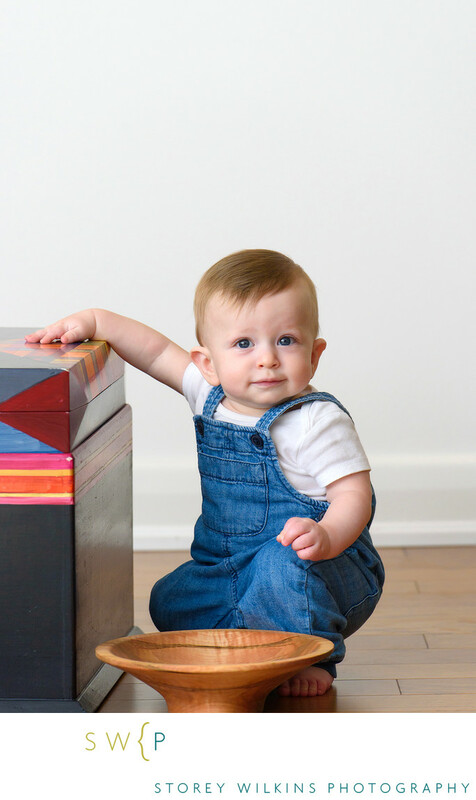 We wanted to create a simple thoughtful baby portrait that showed this little guy at the wonderful 7 month stage, where he was just beginning to cruise. By using the family's beautiful hand painted box for him to hold onto, and adding in their handmaid bowl, I had just enough geometry and color to play off the simple background.